Is Epic’s battle for sole supremacy about to become a portable experience? Is Fortnite coming to Nintendo Switch? 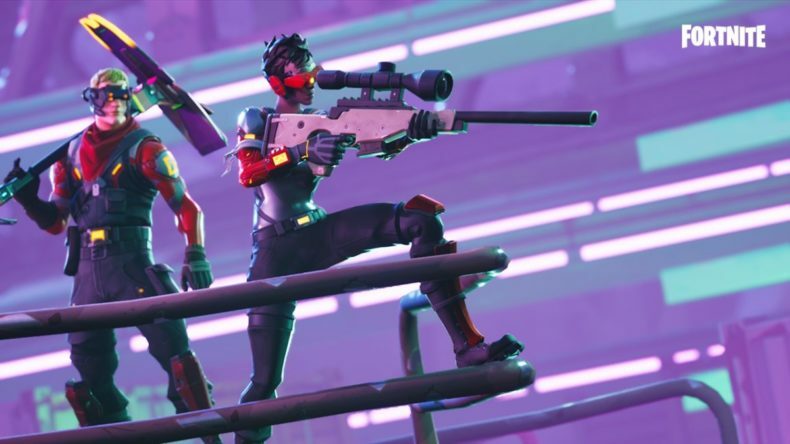 We would say…”yes.” At this point, the odds of Fortnite hitting Switch this year are less “rumor” and more “90% likely, almost enough to state as fact.” On Thursday what appeared to be a press print proof was posted to the Web, showing an unannounced lineup of Switch games including Fortnite, Dragon Ball FighterZ and Overcooked 2. After confirming with their shadowy spy contacts, Kotaku declared the image to most likely be true. The impending announcement of Switch Fortnite should come as no shock. Nintendo’s Switch has been a runaway success since its launch in March 2017 — its userbase is much bigger and much healthier than the Wii U’s ever was. The Switch is a hip machine, and Fortnite is a hip game. It just makes business sense. When E3 rolls around, we should hear more.